When theatrical lighting professionals think of great control systems, they automatically think of StageSpot.com. Why? Well, because we stock the professional stage lighting consoles that set industry standards for performance and ease of use. The art of theatrical lighting is becoming more ambitious and spectacular all the time; but whichever console you choose, you'll have at your disposal the power to create unlimited theatrical lighting effects. We carry the full line of easy-to-control ETC consoles (what'd you think ETC stands for, anyway? ), plus Whole Hog, Grand MA and Leviton systems — and more. 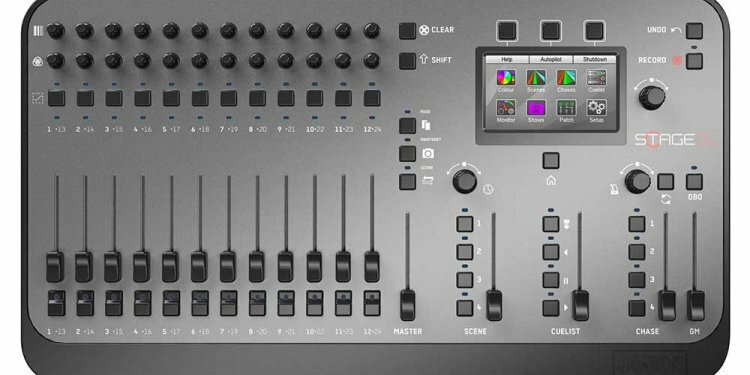 StageSpot.com has the stage lighting boards you need, with the power to control it all — ranging from conventional and moving lights to fixture accessories (color scrollers and gobo changers), to the gamut of DMX devices (fog, rain or lightning machines and relays). Our professional stage lighting boards will make your next show unforgettable. We stock the best professional control panels and we've got lighting consoles to suit every installation type and budget® from the smallest DJ club to the most elaborate and lavish Broadway theatre production. We keep on top of the latest technology and supply all the new software-based solutions, as well as ultrahigh-tech media servers. Please don't hesitate to call us about your next control project; we have the hardware and technical support to ensure you get the perfect console for your needs. StageSpot.com is the spot for all your theatre supplies (or theater supplies, whichever spelling you prefer).